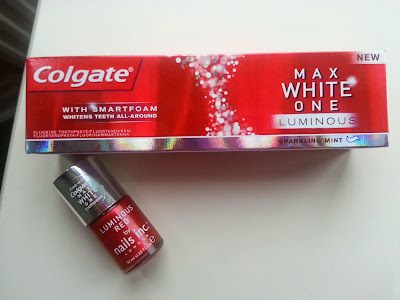 GREAT GIFT WITH PURCHASE IN BOOTS: COLGATE AND NAILS INC.
A quick post to share with you a great offer I found yesterday in Boots. 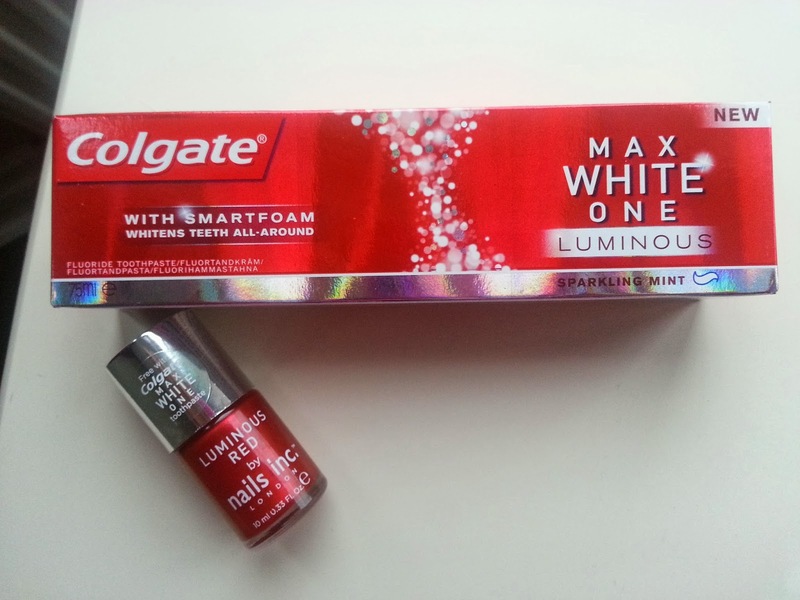 A free bottle of Nails Inc. will be yours by purchasing one Colgate Max White One Luminous toothpaste. The shade is a gorgeous metallic red. I applied two coats on these pictures, plus Orly top coat and i attempted a bit of nail art, with orrendous results I would say. The toothpaste is, apparently, one of the best whitening toothpaste. Few people that used it told me they can really see a big difference after using it. I use teeth whitening quite regularly so I like a toothpaste that helps me to keep a nice bright shade! Priced only £3.99, the deal is pretty impressive considering a single bottle of Nails Inc polish usually comes with a £11 price tag. The offer is valid both in store and online.